2019 Race Goal for our 9th Anniversary: $100,000! Ben's Run is helping fund ground-breaking research by Dr. Kirsten Williams at Children's National into the treatment of children like Ben, whose leukemia returns even after a bone marrow transplant. Since the first Ben's Run in 2011, Ben's Run has donated more than $632,500 to Children's National to improve the treatment of children with cancer. To read more about the remarkable clinical work that Ben's Run is funding, read our 2018 Funding Impact Report from Children's National. All donations to the Run and to Ben's Gift Inc. are tax deductible. All donations to the Run and to Ben's Gift Inc. are tax deductible. Our Tax Id # is 453550053. If you prefer, you can donate by PayPal or check. You can also make a donation by check. Please make your check payable to Ben's Gift, Inc. and mail it to P.O. Box 4558, Silver Spring, MD 20914. 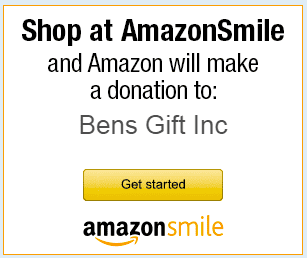 Become a Ben's Run Fundraiser! If you'd like to help Ben's Run raise even more money, please consider becoming a Ben's Run fundraiser! Ben's Run is partnering with RunSignUp to help runners or any Ben's Run supporters raise money for Ben's Run. Go to the Ben's Run fundraising page on RunSignUp.com and within minutes, you can create an individual or team page that you can send to friends and family to have them sponsor you to raise money for Ben's Run. You can add photos, a personal appeal, information about family or friends in whose memory you run or want to raise money, and any other info you would like. Once your fundraising page is set up, send it everywhere - email, Facebook, Twitter, and more - with the push of a button. Last year, our runners raised over $12,000 for Ben's Run through online fundraising - this year we'd like to raise even more!